Today was a great day! 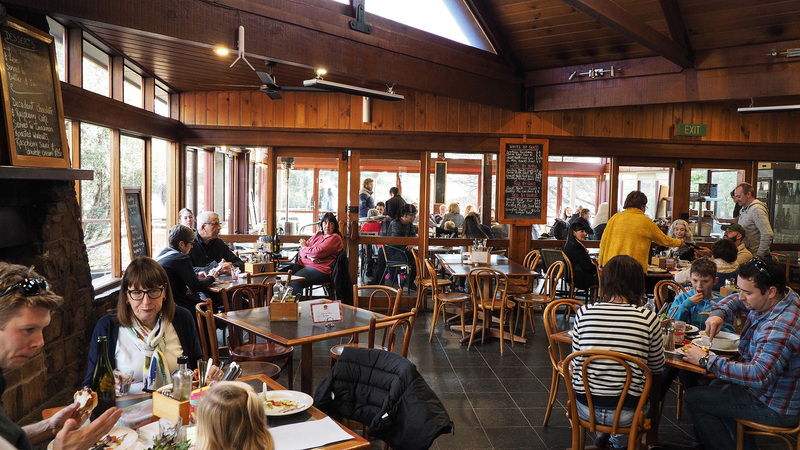 After a delicious breakfast at the Sebel Launceston we headed to Woolworths for some groceries before driving to Cradle Mountain (we also made a short stop at Super Cheap Auto to get a window shade for my little girl). 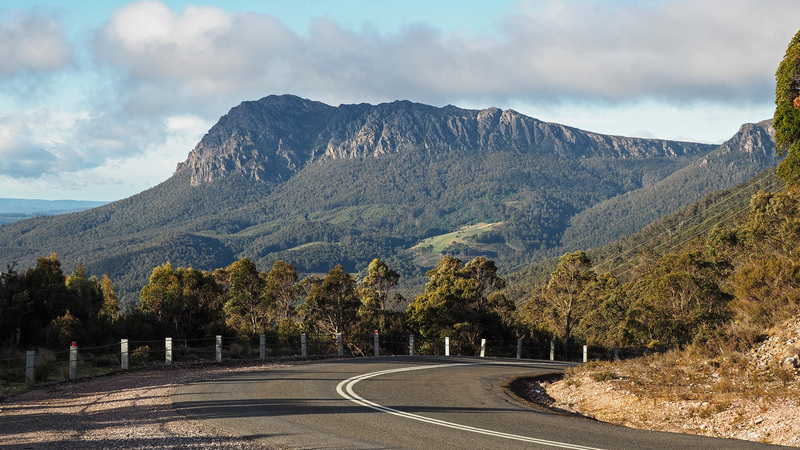 As we had just endured two long days of travel to get to Tasmania we decided on a fairly simple driving route with just two stops. 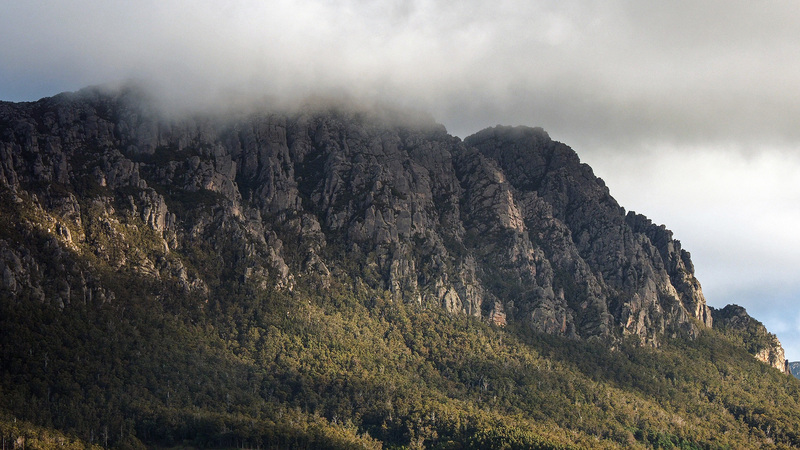 Our drive from Launceston to Cradle Mountain. Our first stop for the day was the Christmas Hills Raspberry Farm Cafe for lunch. 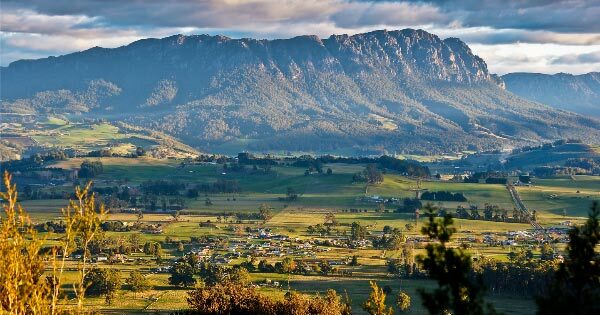 It’s just outside Elizabeth Town and about 40 minutes drive from Launceston. 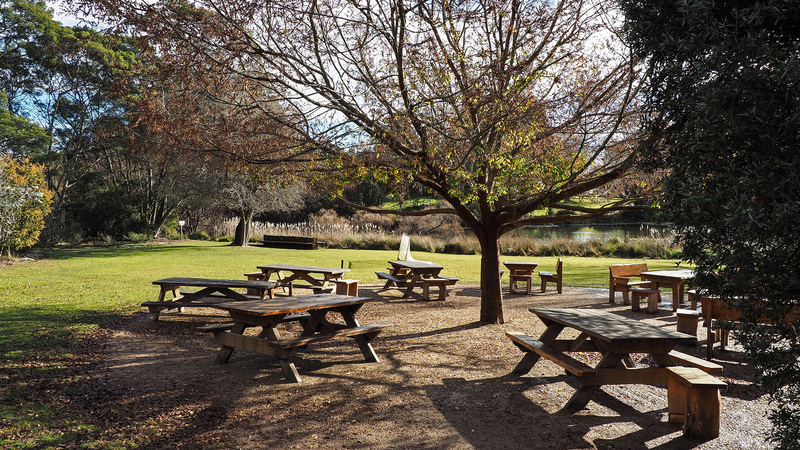 We were thoroughly impressed by the grounds and food at the Christmas Hills Raspberry Farm Cafe. For lunch I enjoyed their soup of the day (it was potato and leak I think) while my wife had the slow cooked wallaby shank. We couldn’t help but notice that Tanya Plibersek (the deputy leader of the Australian Labour Party) was also enjoying lunch at the cafe too. Even though it was cold and rainy outside when we were eating our lunch the weather soon cleared and it gave us an opportunity to explore the grounds outside the cafe. Inside the Christmas Hills Raspberry Farm Cafe. Potato & leak soup at the Christmas Hills Raspberry Farm Cafe. The grounds outside the cafe. Views from a short walk behind the cafe. Our next stop was Round Mountain Lookout. On the way there we couldn’t help but admire the countryside, particularly around the small town of Sheffield and Mount Roland. 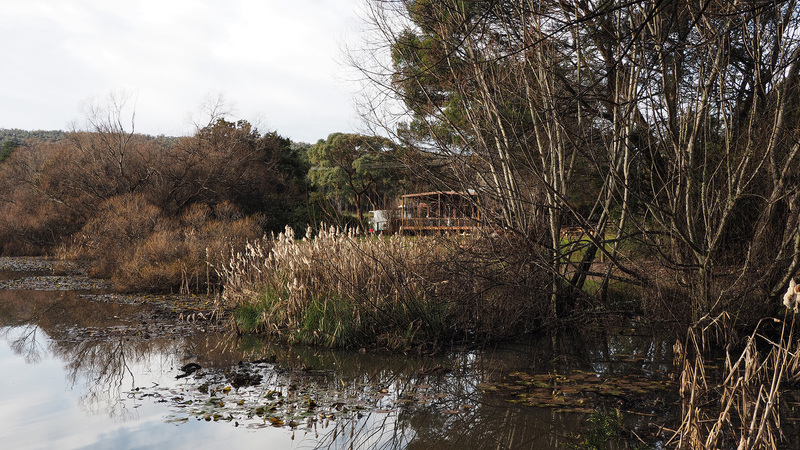 Just south of the town there is a signed pullout with scenic views towards Mount Roland. We stopped here and at Round Mountain Lookout before driving straight through to Cradle Mountain. 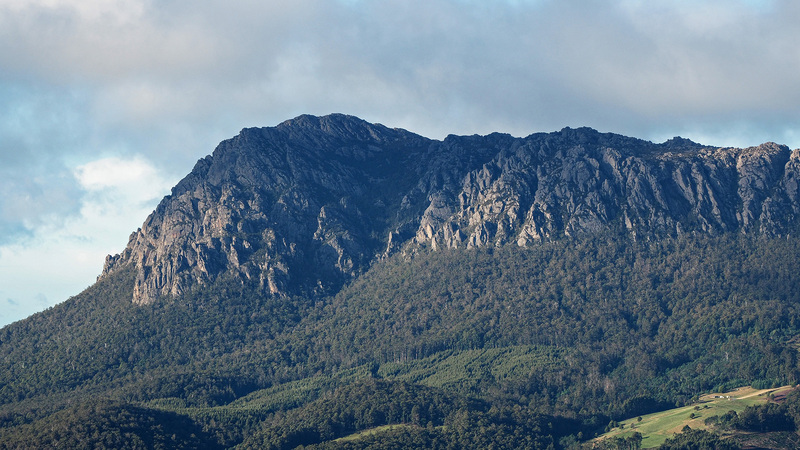 Closeup views of Mount Roland. 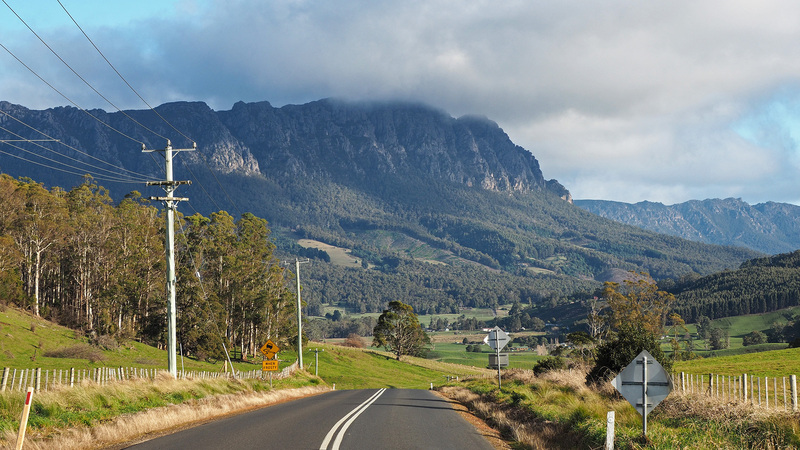 The view of Mount Roland from Claude Road just outside Sheffield. Looking towards Mount Roland from Round Mountain Lookout. Closeup views of Mount Roland from Round Mountain Lookout. Mt Roland from Kimberley’s Lookout, by Carol Haberle 2013. 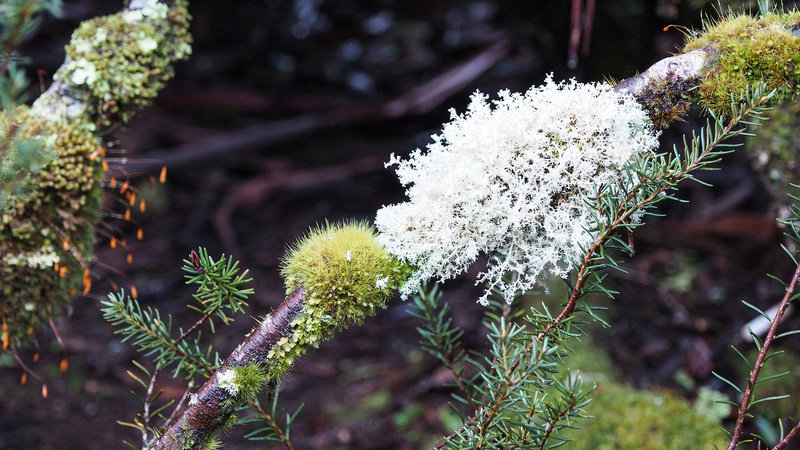 We certainly didn’t have any time for walking when we passed through Sheffield but I knew we would have more than our fair share of beautiful walks in the Cradle Mountain area. 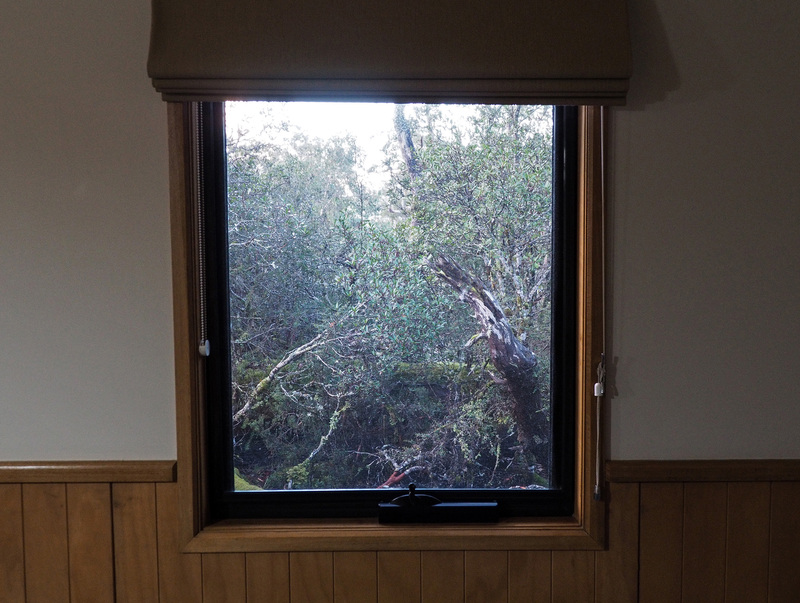 So we pressed on towards Cradle Mountain and we arrived late in the afternoon. It was a cool 2°C outside and we could see that it had been raining throughout the day. My wife and daughter were struggling a bit with the cold and at first we were a little worried because the heater didn’t seem to work that well. How wrong were we! It just took a little while (several hours) but once the heater kicked in our cabin was super comfortable. Speaking of our accommodation, I was absolutely chuffed! A humble cabin in the midst of the most prehistoric looking rainforest I had ever seen. I couldn’t wait to explore the area over the coming days! 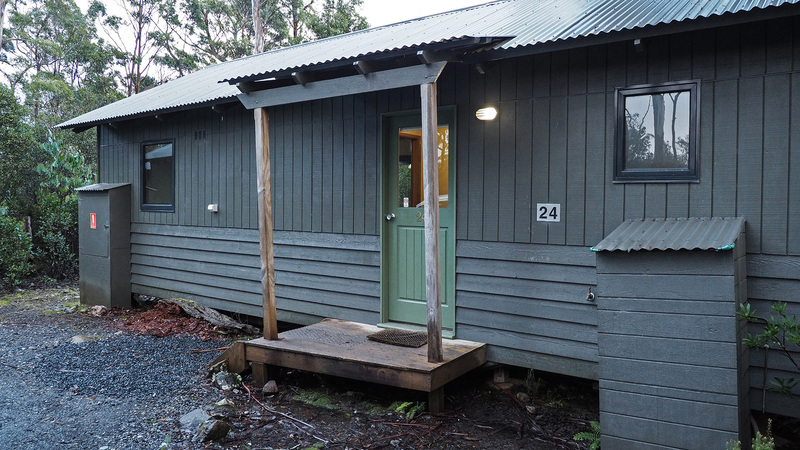 Our accommodation at Cradle Mountain. The view from our bedside window. 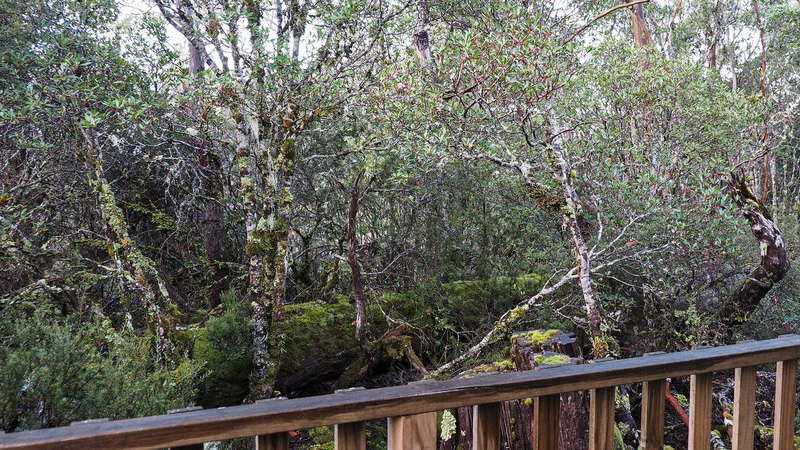 Looking out from the back deck. A close-up of some of the vegetation. 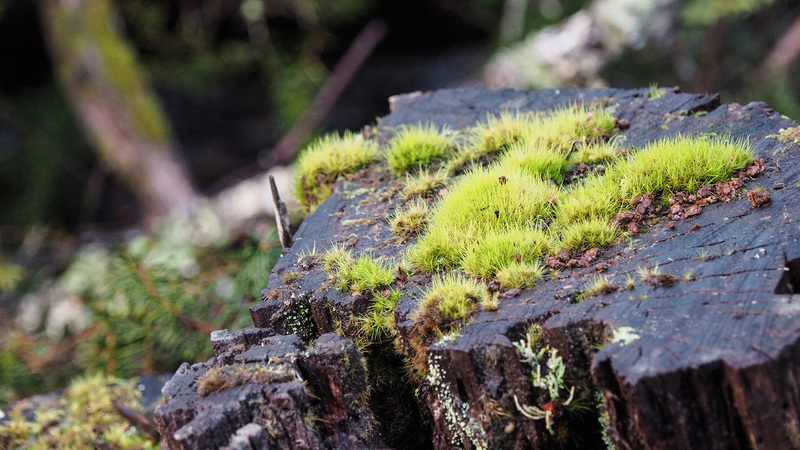 Another close-up of some of the vegetation.